Vehicle traffic enters on the way into Mexico at the Pharr-Reynosa bridge on Wednesday, Oct. 17, 2018, in Pharr. 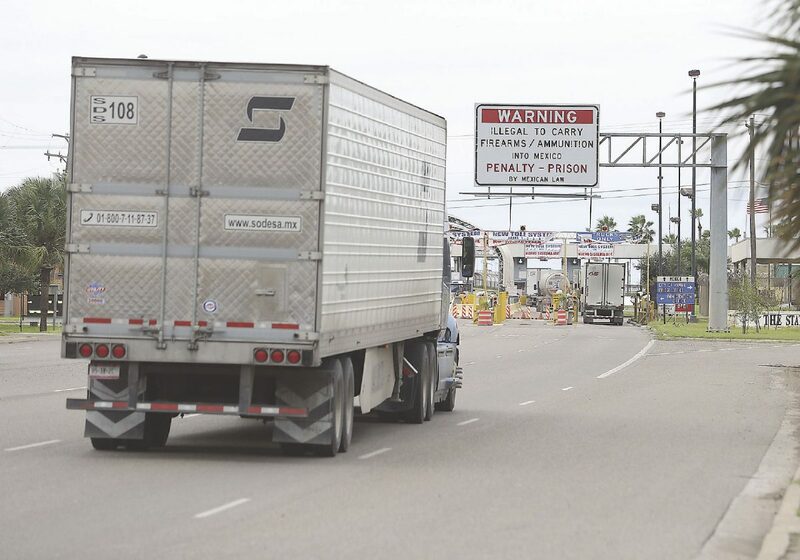 PHARR — Despite the South Texas trade community’s concern a year ago about the future of free trade with Mexico, 643,313 trucks crossed northbound over the Pharr-Reynosa International Bridge over the last 12 months, an increase of nearly 37,000 from the previous year. “This time last year, we were 100 percent worried about NAFTA,” Tony Martinez, a Pharr bridge board member, said at Wednesday’s monthly board meeting. U.S. Sen. John Cornyn, R-Texas, was also uneasy about the future of the North American Free Trade Agreement, which was signed in 1994 and transformed the Rio Grande Valley economy. “I’m a little concerned that the U.S. Trade Representative that is negotiating this does not appreciate the difficulty of getting this approved if they achieve a negotiated outcome,” Cornyn said in January after a speech in Weslaco. But the 2017-18 fiscal year ended in September, marking a positive year of truck crossings at the Pharr bridge, which crosses more than 60 percent of all produce from Mexico into the United States. Pharr has the only full-service, commercial bridge in the area. With Pharr being a top produce port of entry, the bridge celebrated the start to the 2018-19 produce season last week, with Texas Agriculture Commissioner Sid Miller on hand for the event. Miller noted that 8,000 jobs are tied to produce crossing Pharr’s bridge. Recently, the three NAFTA countries, the U.S., Mexico and Canada, announced an updated trade agreement, no longer called NAFTA. The new agreement, Trump said, is called the U.S.-Mexico-Canada Agreement. Martinez, the bridge board member, said he was in Washington recently and met with Cornyn and other members of Congress about the new agreement. “This year, I think both sides of the aisle feel good,” Martinez said.